Marvel's Spider-Man[a] is a 2018 action-adventure game developed by Insomniac Games and published by Sony Interactive Entertainment. Based on the Marvel Comics superhero Spider-Man, it is inspired by the long-running comic book mythology and adaptations in other media. In the game's main storyline, the super-human crime lord Mr. Negative orchestrates a plot to seize control of New York City's criminal underworld. When Mr. Negative threatens to release a deadly virus, Spider-Man must confront him and protect the city while dealing with the personal problems of his civilian persona, Peter Parker. Marvel's Spider-Man is an open world action-adventure game that is set in the borough of Manhattan in a fictionalized version of modern-day New York City. It is presented from a third-person perspective showing the playable character on screen and allowing the camera to be rotated freely around it. The primary playable character is the superhero Spider-Man, who can navigate the world by jumping, using his Web Shooters to fire webs that allow him to swing between buildings, running along walls, and automatically vaulting over obstacles. The character can precisely aim webs to pull himself towards specific points. Physical objects are required to attach webs to for swinging, and momentum and speed of the swing can be controlled by releasing the web at specific points to gain height or move more quickly. The game features an optional fast travel system that uses the New York City Subway system. Combat is enacted using three buttons; one for dodging, one for physical strikes, and one for web-based attacks. Webbing can be used to incapacitate enemies and stick them to nearby objects, immediately removing them from battle. Enemies who are knocked from great heights are automatically stuck to a nearby surface in a web-cocoon, preventing death. Spider-Man can also use the environment to fight, jumping off walls and throwing objects like manhole covers, grenades and webbing-restrained enemies. Successful and consecutive attacks build "Focus", which can be partially used to heal Spider-Man while full Focus allows special finishing attacks to take down an enemy instantly. Spider-Man possesses "spider sense", which is shown as a white icon above the character's head, indicating an incoming attack that can be dodged. A precise dodge performed just before the attack hits allows Spider-Man to retaliate with webbing against the enemy. Some enemies must be overcome using different approaches. Melee-weapon-wielding enemies must be knocked into the air and shielded enemies must be attacked from behind. Enemies armed with whips will drag Spider-Man out of the air and require a counterattack to fight effectively. Other types of enemy include heavily armored agents who can take more damage, brutes, and jetpack-wearing enemies who remain airborne. Spider-Man has access to a variety of gadgets that can be deployed in combat; these include electric webbing, concussive blasts, and impact webbing that launches enemies backwards and can stick them to a nearby surface. Gadgets are unlocked by progressing through the game and can be accessed from a radial menu. Spider-Man has several unlockable suits that are based on existing versions of the character in media; there are also original suits that were created for the game. Many of these offer special abilities that can aid in combat, such as increasing Focus gain, reducing gravity, enhancing stealth, making the player invulnerable, and unleashing an electromagnetic pulse to disable enemy weapons. Once unlocked, suits and powers can be freely combined. Stealth combat involves Spider-Man moving around raised locations using gadgets or webbing to neutralize isolated enemies. Leveling up allows the player to unlock skills from three different specialties, focusing on ground combat, aerial combat, and traversal. Suits, suit mods, gadgets, and their associated upgrades are purchased with resources called Tokens, which are awarded for completion of specific tasks. Each unlockable item requires different quantities of each Token type: Challenge Tokens for completing Taskmaster's time-and-skill based combat, stealth, and traversal missions; Backpack Tokens for locating Spider-Man's old backpacks containing mementos from his past; Research Tokens for completing research station missions, science mini-games, and the collection of pigeons; Crime Tokens for stopping ambient crimes; Base Tokens for clearing out enemy bases; and Landmark Tokens for taking pictures of specific locations around the city. There are also minigames that are rewarded with experience points and research tokens including Circuit Puzzles the require the arrangement of an electric grid and Pattern Puzzles that require the recreation of a specific pattern using composite parts. Radio towers in different areas can be unscrambled, highlighting collectable objects, missions, and active crimes. Some sections of the game are played as Spider-Man's alter-ego Peter Parker, his friend Mary Jane Watson, and ally Miles Morales. Peter's sections often involve puzzle-solving while Mary Jane's and Miles' segments focus on the use of stealth to avoid enemies. The game originally featured three difficulty levels; Friendly (easy), Amazing (normal), and Spectacular (Hard). A post-release update added a fourth "Ultimate" difficulty that increases enemy damage and health while decreasing Spider-Man's, and a "New Game Plus" option that allows the player to start a new game using all of the suits, powers, gadgets, and suit mods unlocked in a previous playthrough. The game also includes accessibility options, enabling players to skip the puzzle minigames, enable larger subtitles, automatically complete quick time events, and replace button tapping with holding. There is also a photo mode that allows the player to take pictures of Spider-Man using a variety of image filters, frames, and stickers for customization. The camera can be used to take selfies and can be freely moved around Spider-Man to capture him in action. Yuri Lowenthal in 2009 (left) and William Salyers in 2013. They voiced Spider-Man and Dr. Otto Octavius respectively. Marvel's Spider-Man features a large ensemble cast of characters drawn from the history of Spider-Man comics. Peter Parker (voiced by Yuri Lowenthal) is a 23-year old research assistant, who gains superhuman abilities after being bitten by a genetically-modified spider. Assuming a secret identity as the superhero Spider-Man, Parker uses these abilities to protect the residents of New York City. Eight years into his superhero career, Parker has become an experienced crime fighter but struggles to balance his superhero and personal lives. Parker is assisted by Daily Bugle reporter Mary Jane Watson (Laura Bailey), his ex-girlfriend, and NYPD Captain Yuri Watanabe (Tara Platt). In his civilian life, Parker is supported by his Aunt May (Nancy Linari) who volunteers at the F.E.A.S.T. homeless shelter run by philanthropist Martin Li (Stephen Oyoung). Parker is employed by his friend and mentor, the respected scientist Dr. Otto Octavius (William Salyers). Spider-Man's adventure brings him into contact with other characters, including Miles Morales (Nadji Jeter) and his parents, NYPD Officer Jefferson Davis (Russell Richardson) and Rio Morales (Jacqueline Pinol), OsCorp CEO and New York mayor Norman Osborn (Mark Rolston), and Silver Sablinova (Nichole Elise), leader of the private military company Sable International. Spider-Man's mission to protect the city brings him into conflict with several supervillains, beginning with his longtime foe and Kingpin of crime in New York Wilson Fisk (Travis Willingham), and a supernaturally powered gang called the Demons who begin dividing the city for Mr. Negative, who can corrupt people through his touch. Spider-Man must also confront Electro (Josh Keaton), Rhino (Fred Tatasciore), Scorpion (Jason Spisak), Vulture (Dwight Schultz), Shocker (Dave B. Mitchell), Taskmaster (Brian Bloom), Screwball (Stephanie Lemelin), and Tombstone (Corey Jones). Several other characters—including Parker's and Watson's childhood friend Harry Osborn (Scott Porter), who has disappeared during a long holiday, and anti-Spider-Man podcast host J. Jonah Jameson (Darin de Paul)—have voice roles in the main game. Spider-Man co-creator Stan Lee appears in a cameo role as a short-order cook. The game's downloadable content features appearances by master-thief Black Cat (Erica Lindbeck, who has a voice role in the main game), Maggia mobster Hammerhead (Keith Silverstein), and Felicia's father Walter Hardy (Daniel Riordan). Marvel's Spider-Man depicts fictional locations and entities from the Marvel Comics universe, including Avengers Tower, the Wakandan Embassy, the Sanctum Sanctorum, the law offices of Nelson and Murdock, Alias Investigations, the superhero cleanup company Damage Control, the Roxxon Energy Corporation, and Empire State University. It also features real-world locations including the Empire State Building, Freedom Tower, Madison Square Garden, and Chrysler Building. Parker captures Wilson Fisk after the police obtain enough evidence to arrest him. Fisk is sent to prison; he warns Spider-Man that order in the city will crumble in his absence. Afterwards, Parker is late for work as an assistant helping Octavius demonstrate his advanced prosthetic limbs for his government financiers, who are concerned when the demonstration fails. Meanwhile, the Demons begin seizing Fisk's illicit assets. Watson investigates an auction of Fisk's goods that is attacked by Demons. Watson and Spider-Man learn that the Demons are seeking something called Devil's Breath. With the aid of Officer Jefferson Davis, Spider-Man stops a Demon attack. Davis is lauded for his heroism at a re-election event for Mayor Osborn attended by Parker, Watson, and Davis' wife and son Rio and Miles Morales. Osborn receives a telephone call threatening to punish the city for his sins and flees the event. The Demons then attack, killing Davis and many other attendees. Parker witnesses their leader Martin Li transforming into an inverted form dubbed Mr. Negative but he is knocked unconscious before he can intervene. Following the attack, Osborn hires Silver Sablinova and Sable International to supplant the police. Parker befriends Morales and persuades him to volunteer at F.E.A.S.T. Parker and Octavius continue their research but Osborn withdraws government funding in an attempt to force Octavius to work for Oscorp. While searching for Li, Spider-Man discovers that Devil's Breath is a lethal, virulent bioweapon inadvertently created by Oscorp while developing a cure for genetic diseases at Osborn's behest. Li locates and steals the only sample of Devil's Breath and threatens to release it unless Osborn surrenders to him. Li is foiled by Watson and Spider-Man, Devil's Breath is secured, and Li is incarcerated at a nearby maximum-security prison called The Raft. Meanwhile, Octavius obsesses over creating enhanced limbs that exceed the limitations of the human body, creating four mechanical tentacles operated from his back and mentally controlled via neural interface. He reveals to Parker that he is suffering from a neuromuscular disease that will inevitably immobilize him, and that enhanced limbs will allow him to continue his work when his body fails. Parker warns Octavius that the interface could impact his mind and personality. Octavius continues its use in secret, overcome with anger at Osborn; the pair were once friends who founded the mega-corporation Oscorp before Octavius left due to Osborn's unethical experiments. Spider-Man is drawn to the Raft by a prison breakout. He learns that some of his greatest enemies—Li, Electro, Vulture, Rhino, and Scorpion—have escaped. They subdue Spider-Man and present him to Octavius, who is now calling himself Doctor Octopus. Octavius warns the beaten Spider-Man not to interfere before retaking the Devil's Breath and releasing it in Times Square, causing a mass outbreak that infects Aunt May. New York descends into chaos while Octavius and his subordinates attack Osborn's properties. Osborn declares martial law and blames Spider-Man for the incident, branding him a fugitive. Spider-Man gradually takes back the city, defeating Electro, Vulture, Rhino, and Scorpion. Watson infiltrates Osborn's penthouse and learns that Devil's Breath was developed to cure Osborn's terminally ill son Harry. As a child, Li was a test subject for the cure, gaining his abilities in an explosion of energy that also killed his parents and caused his hatred for Osborn and the split between Osborn and Octavius. She also learns an antidote for Devil's Breath exists and that Li has stolen it. Spider-Man defeats Li and recovers the antidote but Octavius arrives, brutalizes Spider-Man, and escapes with the antidote and Osborn. While Spider-Man recovers, Morales is bitten by an Oscorp genetically modified spider that Watson unknowingly carried from Osborn's lab. Parker, who is wounded, builds himself an armored suit and confronts Octavius atop Oscorp, freeing Osborn. Octavius reveals that he knows Parker's secret identity and the two fight. Spider-Man recovers the antidote and defeats Octavius; his artificial limbs are removed and he is sent to the Raft. Parker must choose between using the limited quantity of antidote to save May and allowing doctors to use it to synthesize enough to cure everyone; he chooses to save everyone. Before dying, May reveals she knows he is Spider-Man and that she is proud of him. Three months later, New York has returned to normal, and Parker and Watson rekindle their relationship. Morales reveals to Parker that he has gained spider-like powers, prompting Parker to reveal his own. Osborn enters a secret laboratory where Harry is kept in stasis with a black, web-like substance. As Osborn places his hand on the tank, the substance reacts and copies him. Creative director Brian Intihar (left) and Art director Jacinda Chew (middle) speaking about the game at the 2018 San Diego Comic-Con. The project that became Marvel's Spider-Man came about when Sony's Vice President of Product Development Connie Booth visited Insomniac Games to speak with CEO Ted Price. Insomniac had recently released its Xbox-exclusive game Sunset Overdrive; without a formal agreement in place, discussions about the potential new project were not recorded Booth mooted the idea of Insomniac working on a game based on a Marvel Comics property. Price recalled having a "fairly neutral" response, as Insomniac had mainly developed only original properties, but his developers were enthusiastic about the project. The project marked a change in Marvel's video games strategy; Jay Ong, head of games, said Marvel had previously released games based on or tied to the release of films based on their properties, but this meant game developers did not have time to create impressive games. Publisher Activision had been responsible for Spider-Man games since 2000; Ong said this would no longer be the case and future Spider-Man games were in the hands of Sony and Insomniac. Marvel did not want the game to be based on an existing movie or comic book story, and allowed Insomniac to choose a character for which to an original story; the team chose Spider-Man, saying they related to the dynamic between the heroic Spider-Man and his everyman alter-ego Peter Parker. Creative director Bryan Intihar said "I feel like he's the most relatable of the heroes. As much as I love Tony Stark, it's harder to identify with a billionaire. As much as I love Thor, it's hard to identify with a god. Peter makes mistakes, he has ups and downs in his career, his relationships, his family. I think we can all relate to that." Price said, "He's so human, and he's so relatable. He's also the most popular Marvel character in the world, I think". Price also considered the technical benefits; Sunset Overdrive has a dynamic traversal system that could be built upon for Spider-Man. Marvel's Spider-Man became the first licensed property developed by Insomniac in 22 years. While initially excited, team members found the project daunting because of Spider-Man's popularity and the wealth of existing stories and versions of the character. Game director Ryan Smith said "It's pretty daunting ... trying to make a great Spider-Man game and really do it justice". Art director Jacinda Chew saw opportunity in the character's extensive history, and consulted online references and Marvel staff with extensive knowledge of the character. Marvel's Spider-Man uses Insomniac's proprietary engine that was used in Sunset Overdrive and modified to support 4K and HDR resolutions for their 2016 game Ratchet & Clank. The game was first announced in June 2016 at that year's Electronic Entertainment Expo. 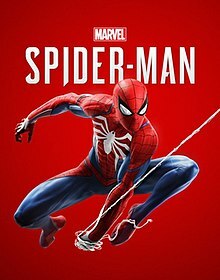 After approximately four years in development, Marvel's Spider-Man was finalized on July 30, 2018, when it was officially released to manufacturing. Insomniac Games has refused to confirm a sequel to Marvel's Spider-Man but Intihar said the developers wanted the audience debating what they might do. He said they wanted to keep players engaged, starting with the Spider-Man: The City that Never Sleeps DLC, whose story continues after the conclusion of the main game. Intihar worked with a team of writers who were under lead writer Jon Paquette to create an original version of Spider-Man that remained true to the original. Alongside Paquette, the story was written by Ben Arfman and Kelsey Beachum. Christos Gage co-wrote the script and Dan Slott provided additional story contributions. Insomniac researched iterations of the character to understand the elements that make a compelling Spider-Man story, after which Paquette wanted to avoid drawing too much influence from any single version. The team learned that whenever Spider-Man wins, Peter Parker loses, and vice versa. Intihar said that from conception, the game was designed to be as much Parker's story as Spider-Man's. The team avoided retelling Spider-Man's origin, reasoning "everyone kind of knows Spider-Man was bitten by a spider." Yuri Lowenthal provides the voice of Spider-Man / Peter Parker; there was some initial reluctance to cast him because he had voiced the lead character in Sunset Overdrive and it was thought he could not provide a drastically different performance. Working with voice director Kris Zimmerman, Lowenthal tried to differentiate his voices for Peter—where he is gentler—and as Spider-Man, where he is more confident, but thought the voices should not be completely different and spent a large amount of time "finessing and massaging" his performances to achieve a balance. Paquette persuaded the studio to cast him in the role because he trusted Lowenthal's acting ability. Lowenthal worked with two stunt people during the game's development. Peter's relationship with Otto Octavius came from a desire to give Peter a job that embraced his intelligence. The writers considered ways to make that job interesting; they thought of having him work for Otto and be partly responsible for creating one of his greatest nemeses. Paquette emphasized the pair's relationship, aiming to make Otto a tragic figure, optimist, and mentor to Peter instead of the more traditional megalomaniac. Paquette said, "I wanted to show the story of their friendship. Without that, Otto's eventual turn wouldn't have the impact that I hope it did". Chew researched Otto's historical comic-book depiction and design, noting his bowl cut hairstyle and green glasses, but chose to modernize his appearance to make him balding, nerdy and "very lovable". Intihar described Otto and Peter as parallels of each other. When depicting Peter's relationship with Mary Jane, the writers wanted to demonstrate that she has her own skills that allow her to be a hero in her own right, requiring Peter to learn not to be overprotective of her and to rely on other people. Arfaman said Mary Jane was his favorite character to write for; her new job as a reporter allowed her more agency and to be an active partner to Spider-Man. Miles Morales was added as younger character with whom younger audiences could identify when it was decided to use an older Peter Parker. The death of Aunt May at the end of the game was considered vital to Parker's growth and a challenge because May has a large role in historical Spider-Man stories; Paquette said the moment had to be earned. Marvel initially vetoed her death but their opinion changed as development of the game progressed. Early in the story, May advises Peter that he is only human; Paquette said the message she gives is to not take on too much himself and learn to rely on other people. By the game's third act, Peter learns to rely on Mary Jane and Miles, though by this point it is too late to save everyone and Peter is given an "impossible choice". Paquette described this as the heroic sacrifice that reveals something deep about the character and what he really cares about, stating, "The more difficult that decision is, the more character it reveals and the stronger the moment is". May's death was described as an echo of Peter's Uncle Ben's, who dies because Peter makes a selfish decision; May dies because he makes a completely selfless one. As a result, Peter will feel mixed guilt. A bittersweet but happier scene between Peter and Mary Jane was inserted to end the game on a more positive note. His ally police Captain Yuri Watanabe was written as a kindred spirit who shares with Spider-Man a sense of responsibility to protect the city and its inhabitants regardless of the personal cost. Paquette described Mr. Negative as the hero of his own story; his origin is designed to give purpose to both Norman Osborn—who is doing bad things with the goal of saving his son—and Otto. Mr. Negative's alter ego Martin Li was given connections to both Aunt May and Peter to add more stress to Peter's life. Many of John Jonah Jameson's podcast rants were written by Gage, who said he related to being a grouchy, middle-aged man. Gage considered that despite repeatedly blaming Spider-Man for events, the podcasts give the player insight to city residents' thoughts about Spider-Man and current affairs. Silver Sable was added because Gage felt that a force to increase the stakes as events in the city turn dire was needed. The in-game social media posts were written by members of Insomniac staff and Sony's QA department. To present the vast New York City game area, the map was divided into 800 square sections, each representing approximately 128 m2 (1,380 sq ft). As the playable character moves through it, out-of-view tiles are unloaded from memory and are replaced with tiles in view. Chief architect and Core Director Mike Fitzgerald said that when moving at Spider-Man's top speed, a new tile is loaded every second. For swinging, the team wanted to create a fun experience without making the physics too realistic. They combined camera movements, character animations, and field of view to make "hanging from a rope on 34th Street" feel more heroic. To swing on webs, each web strand must be able to connect to a physical object. All architecture in the game world contains numerous anchor points; the ideal point is selected to maintain current momentum and direction. Each character has a high-quality model for closeups, cut scenes, and scripted sequences, possessing approximately 60,000 vertices. The game's final boss is rendered with a million polygons, the most Insomniac had used to render a character at that time. Insomniac wanted to modernize the design of Spider-Man's costume while paying homage to the original design by Steve Ditko. The new design features a large, white spider symbol that stretches across the torso, gauntlet-like gloves, and a sneaker-style design based on athletic-wear rather than knee-high boots. Chew said the design goal was to create clothing a "23-year-old, would-be superhero" would wear in 2018 New York City. White was added to the traditional, red-and-blue color scheme. Chew compared the outfit to compression wear and said each color represents a different material; blue is the most flexible and is where Spider-Man requires the most flexibility, such as his limbs. The red material is flexible but is thicker for protection from minor scuffs and scrapes, and the white, which is similar to carbon fiber and offers the most protection, is positioned on the chest, hands and feet. Unlike previous incarnations as a model or nightclub owner, this version of Mary Jane is an aspiring reporter who wears a smart, sensible, and stylish outfit to reflect her modeling history. Chew said they aimed to use many body types for female characters, saying they did not "copy paste the same female body onto every single character". Mr. Negative was initially designed as a young "rebel" wearing a leather jacket and sunglasses; the progression of the story influenced the character and the decision was made to better reflect his true nature, giving him a black-and-white suit showing his human and transformed, negative-photo-effect persona. The game's third act following the Raft escape was originally much bigger and included separate battles with the Vulture and Electro. Intihar said the game in this form was not working and they had to cut things, which they found difficult because it deviated from their intended vision. An unknown person had the idea of merging the Vulture and Electro fights, assembling a short demo to show it working as an aerial battle, which is how it appears in the finished game. The game's music was composed by John Paesano. He worked on the project for over two years, beginning early in the development cycle during the completion of the story writing. The aim of the score was to make it its own character and to create a cinematic ambience rather than being simply present in the background. The score's main theme took approximately two months to finish; this was then split off for other segments of the score for other characters. While Paesano was influenced by Spider-Man music from other media, he focused on the slightly older age of the game's Spider-Man, adding more gravitas to the score. He scored it more from the perspective of Peter Parker than Spider-Man to emphasize the character's humanity over his role as a superhero. Paesano aimed to keep the score simple and recognizable; he retained the same Spider-Man/Peter Parker theme throughout but modified it by using different instruments and arrangements. He wanted to avoid issues he perceived in films belonging to the Marvel Cinematic Universe, in which the many differing character scores could get lost in each other. The central theme is even interwoven with villain scores—a technique Paesano compared to composer John Williams' work on Star Wars—to remind the audience that everything is part of Parker's story. Multiple versions of the same conversation were recorded for Spider-Man's open-world dialogue for his at-rest state and that of exertion; for instance in combat. The recordings can switch mid-conversation if Spider-Man switches from resting to being in-combat. Each costume features custom web-shooters unique to the suit for which they were designed. Marvel's Spider-Man was released worldwide on September 7, 2018, exclusively for PlayStation 4. Customers who pre-ordered the game were given instant access to some unlockable, in-game features, including alternative costumes (Spider-Punk, Iron Spider, and the Velocity Suit), skill points to unlock abilities, the spider-drone, a Spider-Man theme featuring artwork by comic book artist Adi Granov, and a user avatar for the PlayStation software. Special versions of the game were also made available; the "Digital Deluxe" version includes access to The City that Never Sleeps' three story-based DLC chapters and a limited-edition Spider-Man pin for pre-orders of this version in the U.S. and Canada only. The Collector's Edition includes The City that Never Sleeps DLC, a custom steelbook case for the game, an artbook containing concept and unreleased art, a white spider sticker, and a Spider-Man statue created by Gentle Giant. Sony also released a limited-edition red PlayStation 4 Pro bearing the Spider-Man emblem and including the standard version of the game. The game has been referenced or promoted in various other media. "Be Greater", a 90-second advertisement highlighting Spider-Man's battle against foes including Rhino and Scorpion was run during the 2018 NFL Kickoff Game, which had approximately 19.5 million viewers. PlayStation marketing head Eric Lempel said it was among the most expensive advertisements the company had ever run. In addition, videos showing features of the game narrated by characters including J. Jonah Jameson were released and artist Alex Ross was engaged to draw a custom cover for an issue of Game Informer. In New York City, a subway train was fully converted with Spider-Man marketing materials, including a full advertisement across the exterior, Spider-Man chairs and posters, and advertisements for the Daily Bugle. Shortly before the game's release, some fans were critical of marketing images of an early and later build of the game, both of which showed the same scene but the latter showed a smaller puddle of water that the former. Enough fans interpreted the change as the result of a visual downgrade in the game that Insomniac community director James Stevenson personally replied, confirming the size of the puddles had been changed but there was no visual downgrade. Insomniac later parodied the criticism by offering cartoon puddle stickers for use in the game's photo mode. Shortly after release, Jacinda Chew offered to remove an in-game marriage proposal requested by a fan after it was revealed the relationship had since ended. The fan chose to retain the message, saying "I just want to see someone get married, through that thing". Titan Books published two tie-in books for the game. The first, Spider-Man: Hostile Takeover, was released on August 21, 2018. Hostile Takeover, which was written by David Liss, is about Spider-Man's conflict with the Kingpin as he attempts to blackmail Mayor Osborn into making him the city financier and the end of Parker's and Watson's relationship due to Parker's overprotectiveness; and introduces the game's version of Echo, a deaf, female martial artist who joins forces with Spider-Man, and Blood Spider, a villain given superhuman abilities by Oscorp, and employed by Kingpin. The second book, Marvel's Spider-Man: The Art of the Game, is written by Paul Davies and contains the game's concept art, blueprints, and designs. The game's version of Spider-Man appears in the 2018 comic book story Spider-Geddon written by Gage, a sequel to 2014's Spider-Verse that brings together Spider-people from different Marvel realities. Spider-Geddon issue #0 (released September 26, 2018) follows the Superior Octopus (an alternate universe version of Otto Octavius in Peter Parker's body), as he travels to the game's Earth (designated Earth-1048) to recruit the game's Spider-Man. The story of Spider-Geddon takes place after the events of the game, and also introduces the Earth-1048 version of Tarantula. Insomniac artists provided variant comic-book covers for the series. A six-issue comic book titled Spider-Man: City at War is due for release beginning in March 2019. It follows the events of the game and introduces some new events. The series is published by Marvel, written by Dennis Hopeless, and includes art by Michelle Bandini and variant covers by Clayton Crain, David Nakayama, Gerardo Sandoval and Adi Granov. The same year Diamond Select Toys and Sideshow Collectibles are scheduled to release, respectively, a 10-inch statue of Spider-Man and a 1/6 scale statue based on the in-game Spider-Punk costume, including a guitar and spider-drone. The advanced suit created for the game appears in the 2018 film Spider-Man: Into the Spider-Verse among the suits collected by the Peter Parker of Miles Morales' universe. A story-based three-episode downloadable content (DLC) pack collectively known as Spider-Man: The City that Never Sleeps was developed for Marvel's Spider-Man. Each episode includes new story missions, challenges (hosted by Screwball), enemies, and trophies. The first episode, "The Heist", was released on October 23, 2018; set several months after the end of the main game, the story follows the return of Spider-Man's ex-girlfriend Black Cat to New York for a heist, which draws him into a conflict with the Maggia crime families. "The Heist" DLC expansion includes three unlockable costumes; Spider-UK, Scarlet Spider II, and the Resilient Suit—an original design by artist Gabriele Dell'Otto. Episode 2, "Turf Wars", was released on November 20. The story follows Spider-Man's and his ally Yuri Watanabe's efforts to stop Hammerhead taking over the Maggia crime families and seizing control of crime in New York. "Turf Wars" includes three new costumes; Mangaverse Spider-Man, the Iron Spider, and the Spider Armor MK I. The final episode, "Silver Lining", was released on December 21. Its plot features Silver Sable's return to New York City to reclaim her technology that has been stolen by the Maggia. She teams up with Spider-Man to confront Hammerhead, who has used her technology to make himself virtually indestructible. "Silver Lining" adds three new costumes; Into the Spider-Verse (based on the concurrently released film), Cyborg Spider-Man, and the Spider-Man armor created by Aaron Aikman—an alternative version of Spider-Man. The Spider-Man costume used in Sam Raimi's Spider-Man film trilogy was released separately in December 2018. Two more costumes were released in January 2019; one is based on his Future Foundation costume and the other, titled "Bombastic Bag-Man Suit", is based on issue 258 of The Amazing Spider-Man (1984), in which Spider-Man is forced to wear a Fantastic Four costume and a brown paper bag to conceal his identity. Marvel's Spider-Man received "generally favorable" reviews according to review aggregator Metacritic. The game received praise for its gameplay, graphics, narrative, and characterization but was criticized for its familiar open-world tropes and lack of innovation. Critics called Marvel's Spider-Man one of the greatest superhero games ever made. Mike Minotti of VentureBeat called it "the best Spider-Man game ... and one of the best super hero games ever", while Game Informer's Andrew Reiner wrote, "Like Batman: Arkham Asylum before it, Spider-Man raises the bar for one of the world's most beloved heroes". Reviewers praised the gameplay mechanics; the web-swinging traversal in particular received unanimous acclaim. Josh Harmon of EGMNOW called the web-swinging an "absolute blast", describing it as a more streamlined version of the physics-based system used in Spider-Man 2, while Game Revolution's Jason Faulker praised it as "fantastic, and I'm not sure if any game has quite captured the feeling of speed and movement quite like this one before. It's just so consistently good." GameSpot's Edmon Tran wrote it was "endless fulfilling" and "Spider-Man's greatest joy". Reiner found web-swinging was so much fun that he never used the game's fast-travel system. The combat was praised for its speed and fluidity while presenting a range of gadgetry and environmental options to execute attacks. Reiner called it "excellently designed" and highlighted its efficient use of the environment while Faulker applauded it as "some of the best combat I've ever experienced". Dornbush found the combat became "an improvisational delight" after gaining access to more abilities. Harmon wrote it offered "heaps of versatility and expressiveness, if not quite depth", and that his only gripe was that he felt using the in-game gadget-select menu disrupted the game's flow. Harmon and Tran compared the movement system with the Batman: Arkham series; the latter wrote that the inspired combat "suitably characterizes Spidey's acrobatic nature". Mike Williams of USGamer, however, said the Arkham comparisons were unfair and that the extent and capabilities of the gadgets on offer made it unique to the Arkham series, as well as other Spider-Man games. He disliked only the auto-lock system for making it difficult in larger enemy groups to hit the intended target. Dornbush wrote that Marvel's Spider-Man's stealth scenarios perfectly highlighted Spider-Man's talents—especially his love for designing gadgets—saying, "There's a methodical thrill to plotting out the order I wanted to web up enemies". Harmon said that while the stealth options were "a bit shallow", they were "never unpleasant and rarely mandatory". The game's visuals were well-received. Dornbush praised the "gorgeous" skyscrapers and wrote that "swinging around at dusk as the calm oranges of the setting sun hit the reflective glass ... evoked some of the most calming, zen-like gameplay sessions I've experienced in awhile". He found that while the faces of the main characters were "spectacularly animated", those of minor characters were "flat and often out of sync with dialogue". Leon Hurley of GamesRadar called it a "lovely looking game" and said, "It's rare to see something this big and detailed consistently look so good, with the very final story moments in particular, some of the most spectacular looking stuff I've seen in awhile". The story received positive reviews and was seen as one of the game's highlights. Williams said it was the best aspect of Marvel's Spider-Man and generally praised the handling of the cast, writing that near the end, "I was in love with these characters all over again". Hurley called the writing, performance, and facial capture "all top-notch stuff" with characters "being voiced and performed with a depth and charisma I wasn't expecting". Faulkner described the story as "an entertaining romp", and while he noted it presents many familiar tropes, he said there were enough new ideas to keep things interesting. Dornbush wrote that despite having a moderately slow start, the story "consistently delivers that sense of weight and impact". He praised the focus on Peter Parker and highlighted voice actor Yuri Lowenthal for having "an emotional honesty" in this version of Spider-Man that made it one of his favorite portrayals of the character. Similarly, Harmon praised the game's characterization and understanding of Parker, which he found was better than almost any comic adaptation, and commended the supporting cast for having "crystal-clear" motivations and acting "as a foil or mirror for [Parker's] altruistic approach to heroism". Some critics appreciated Insomniac's decision not to portray an origin story in the game. Harmon was disappointed that the side missions did not live up to the "depth, complexity, or fun" of the main story quests; VideoGamer.com's Colm Ahern wrote that many of the side missions felt unnecessary in the overarching plot. Other aspects of the game were also well received. Dornbush wrote that the boss fights were "big and exciting ... full of tense action"; he criticized a few, however, for feeling "simple and rote" and said that because of their focus during the beginning and ending of the story, there were large portions in the middle where boss fights were noticeably absent. Carter called the upgrade system "elaborately done" while Reiner wrote, "gaining new toys is an incredibly satisfying element of this experience that Insomniac masterfully dangles like a carrot in front of the player". Tran praised the ability to use different suit powers independently from their original outfits as a "godsend". Reiner said the stealth sections that include the ability to play as Mary Jane Watson and Miles Morales "bring variety in fun ways, including solid stealth mechanics and clever puzzles". Tran said that while he felt the mechanics were not particularly demanding, he thought the segments featured "some memorably tense scenarios". Ahern described them as "a bit hit-and-miss ... and a bit grating at times". The game world received criticism that focused on Marvel's Spider-Man's inability to innovate as an open-world game, instead relying on familiar and repetitive tropes found in other free-roaming titles. Faulker disliked the way many of the side activities became "tedious" after a short time and criticized the lack of variety in the collectibles quests. Harmon wrote that he was more tolerant than most for collectibles and side-content but thought there was still too much of it in Marvel's Spider-Man. Ahern disliked the game incorporation of open-world "distractions" from which other titles had moved on. Some reviewers were disappointed with the game's inclusion of towers that reveal portions of the map and identify waypoints, which had become standard features in a number of earlier open-world games. In the United States, Marvel's Spider-Man sold 3.3 million units—including those bundled with the PS4 console—in its first three days of release, making it the fastest-selling first-party video game release in Sony's history, narrowly beating another PS4 exclusive God of War's 3.1 million sold in May 2018. USA Today estimated the game made at least $198 million during this period, surpassing the $117 million North-American opening-weekend box office take of the 2017 film Spider-Man: Homecoming, though units sold with the console would likely inflate this figure. According to sales projections by The NPD Group, Marvel's Spider-Man's release-month sales were 37% higher than the combined release-month sales of all Spider-Man games released since the group began tracking figures in 1995. By November 2018, it became the fastest-selling superhero game in the U.S. In the United Kingdom, Marvel's Spider-Man became the fastest-selling game of 2018 in terms of physical units, overtaking Far Cry 5—which was released on three other platforms and itself had sold double the number of units as God of War. It was also the fastest selling Marvel-branded game, beating Lego Marvel Super Heroes (2013) by a wide margin, and the fastest-selling individual format game since 2017's Call of Duty: WWII. It sold less than the fastest-selling superhero game of this generation, Batman: Arkham Knight, which was released on more platforms. Figures exclude digital sales in the UK. Spider-Man remained the top-selling video game for three consecutive weeks until it was replaced by the multi-platform title FIFA 19. It was the second best-selling game of September, finishing behind FIFA 19—which had only been on sale for two days—and exceeded the first-month sales of PS4 exclusives Uncharted 4: A Thief's End (44% increase), Horizon Zero Dawn (94%), and God of War (138%). It remained in the top-ten-selling games until January 3, 2019, lasting 13 weeks. In Japan, approximately 125,154 physical units were sold during its first week, becoming the top-selling game of any format, and by its third week it retained that position, selling a cumulative total of 244,051 units. The game also became one of the best-selling Western-developed PS4 titles there, being surpassed only by Call of Duty and Minecraft, and the best-selling Western-developed, Sony-funded title since 1998's Crash Bandicoot: Warped for the PlayStation. Marvel's Spider-Man had sold over nine million physical and digital units worldwide as of November 25, 2018. Marvel's Spider-Man appeared on several lists of the top video games of 2018, including first place by Wired, second place by Time, third place by Push Square and Zero Punctuation, fifth place by EGM, ninth place by Polygon, and tenth place by The Daily Telegraph. Shacknews and The Verge named it "Game of the Year" and Eurogamer listed it as one of the top-30 games of the year. A poll of 128 Japanese game developers by Famitsu magazine named Marvel's Spider-Man as their game of the year. ^ a b c d e f g Dornbushc 2018. ^ a b Plante 2018. ^ a b c d e f Tuckerb 2018. ^ a b c d e f g Intihar 2017. ^ a b c d e f Parkin 2018. ^ a b c d Williamsb 2018. ^ a b Whitbrookb 2018. ^ a b c d TuckerTR 2018. ^ a b Greenb 2018. ^ a b Wen 2018. ^ a b c d e f g h Tucker 2018. ^ a b c d e f g h i j k Marnell 2018. ^ a b Dornbush 2018. ^ a b Greenc 2018. ^ a b Brown 2018. ^ a b c d Stark 2018. ^ a b c d Whitbrook 2018. ^ a b c Barnett 2018. ^ a b c Mathew 2017. ^ a b c d e f g h i j k l m Watts 2018. ^ a b Kuchera 2018. ^ a b Vader, Leo (April 4, 2018). "Exclusive Interview With The Man Playing Spider-Man". Game Informer. Archived from the original on April 5, 2018. Retrieved April 4, 2018. ^ a b Massongill 2018. ^ a b Reed 2018. ^ a b Poloc 2018. ^ a b c Wales 2018. ^ a b Erskine 2018. ^ a b Metacritic 2018. ^ a b c d e Carterb 2018. ^ a b c d e f g h i j Harmon 2018. ^ a b c d e f g Reiner 2018. ^ a b c d e f Faulkner 2018. ^ a b c d e f Tran 2018. ^ a b c d e f Hurley 2018. ^ a b c d e f g Ahern 2018. ^ a b Minotti 2018. ^ Fitzpatrick, Dockterman & Austin 2018. This page is based on the Wikipedia article Spider-Man (2018 video game); it is used under the Creative Commons Attribution-ShareAlike 3.0 Unported License (CC-BY-SA). You may redistribute it, verbatim or modified, providing that you comply with the terms of the CC-BY-SA.